A great find, loaded w every Veranda option and even some extras. Factory engine warranty to October 2020. Only 132 hours w 100-hour service just completed in January. A must see, you are going to love this Tritoon. The best made Tritoon on the water! Contact us today! 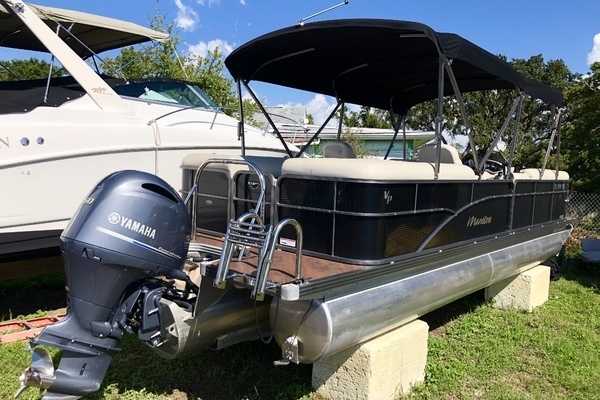 *200 HP Yamaha 4 Stroke, *132 Hours - Fully Serviced, *Hydraulic Steering, Fishing Package w Live Well and Station, *Ski Tow Pylon, *Power PoleShallow Water Anchor, *GPS and Chart Plotter, *Marine Stereo w Blue Tooth, *Changing Station w room for Porta Potty, *Triple 27" Pontoons w Lifting Strakes, *High Grade Aluminum Deck - NOT PLYWOOD!! *Bimini Top, *Full Boat Cover, … MORE! United Yacht Sales New Jersey would love to guide you through a personal showing of this 22' Veranda 22f2 2018. This yacht for sale is located in Cape Coral, Florida and priced at $42,500. For a showing please contact us by filling out the form on this page and we will get back to you shortly!